Naming your puppy is an exciting time! And it’s great to be a bit different. 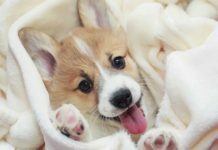 In this article we’ve collected over 130 unique names for dogs. 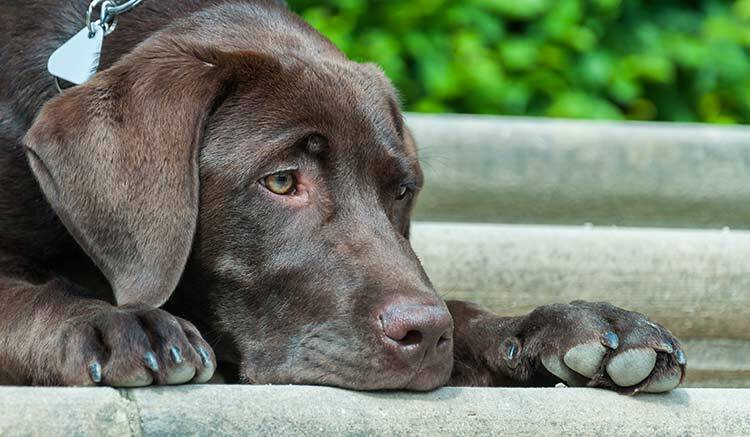 These are names that will make your dog standout from the crowd. 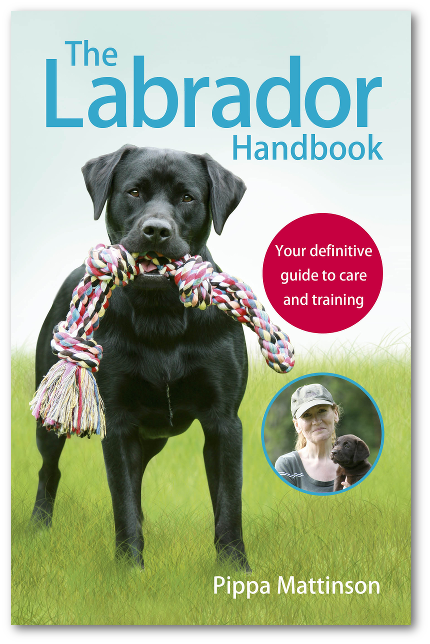 We’ve included some special sections for our favorite Labrador colors too. A name is more than just a command to call your dog. Names give your pet an identity, and help cement your dog’s place as an important member of your family. People are always looking for new and unique names for their dogs. And that’s something we can help with. Most of us consider dogs as an addition to our family. We take time to consider the name we’ll give them, and whether it will suit them. Dog names, unique or otherwise, are important to all new owners. So you’ll want to make sure you put the right amount of thought and time in before coming to a decision. The best dog names are those that show your own taste and personality. While at the same time reflecting your dog’s character and attributes too. With that in mind, lets take a look first, at some of these unconventional names for female dogs. 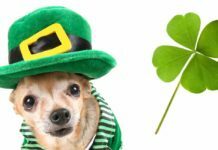 Many people choose to give their pets human names, especially when it comes to dogs. This can make our bond and connection with them stronger. You’ll to be sure to stand out with any of these unique girl dog names! When we’re looking at human names, we can draw a great deal from popular culture. Referencing a character from film or TV can be a great way to make a name both unique and recognizable. History is a great source of inspiration too; Sappho was one of the first known female writers. 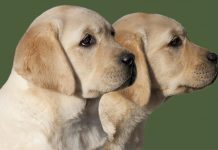 When it comes to unique dog names, female figures can give meaning and real depth. Continuing with human names, let’s look at some male dogs. If you choose to give your male dog a human name, you’ll want it to suit him and be individual. With so many male dog names already commonplace it can be hard to find something unique. As earlier, we can look to popular culture for ideas. This will give us some unique boy dog names that still feel familiar. Dogs are often called “mans best friend.” Sidekicks in film, TV and literature can give us great names. Sherlock Holmes’ right hand man James Watson is a cool example. 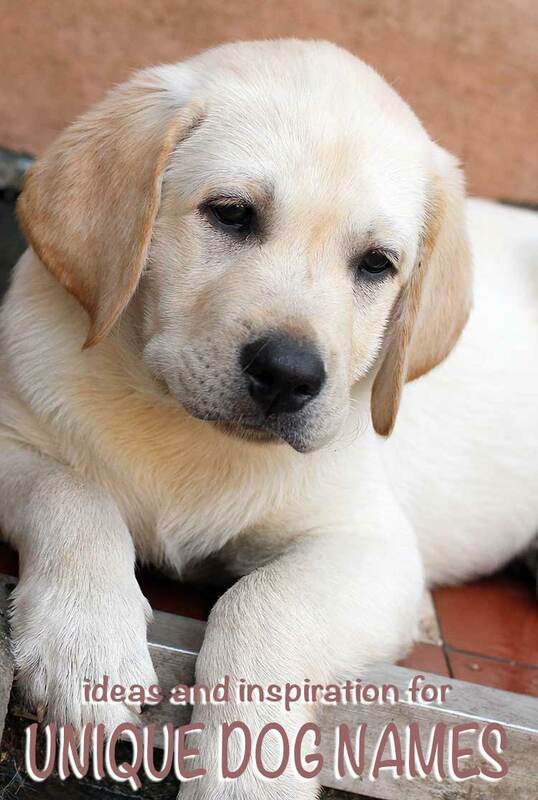 Now, inspired by our lovely yellow labs, let’s look at some quirky options for yellow dogs. Yellow fur from cream to golden, calls to mind a whole host of images. Farmyards, blonde hair, cheese, egg yolks … and this is the kind of imagery that yields some truly unique names. 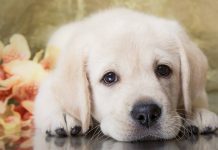 Here’s our list of unique names for yellow labs! Next up, we have some unique dog names inspired by the ever popular chocolate Labrador. Chocolate colored dogs are usually photogenic. Their striking brown fur makes a basis for some excellent unique names. There’s a lot of natural materials and foods we can use for name ideas in this section. These sort of things make excellent and memorable dog names. Now we’ve explored chocolates, let’s look at black dogs. 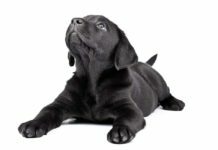 Black labs are a fixture in homes the world over, they cut a sharp contrast with their surroundings. Unique names for dogs always work great when they play into such an obvious feature. 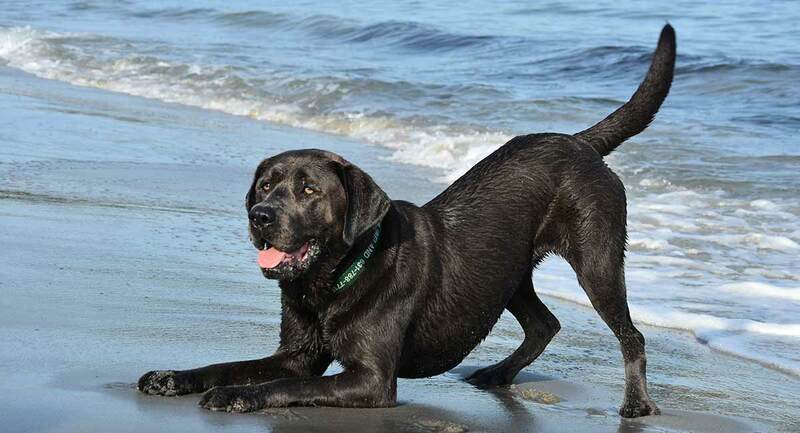 Black labradors’ coloration remind us of the night, and a whole host of animals. 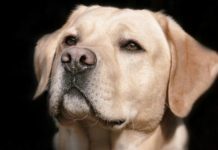 Here is a list of suggestions for unique dog names for black labradors. Fox red labradors are becoming more and more popular. So, it’s becoming more necessary to stand out from the crowd with a unique dog name. 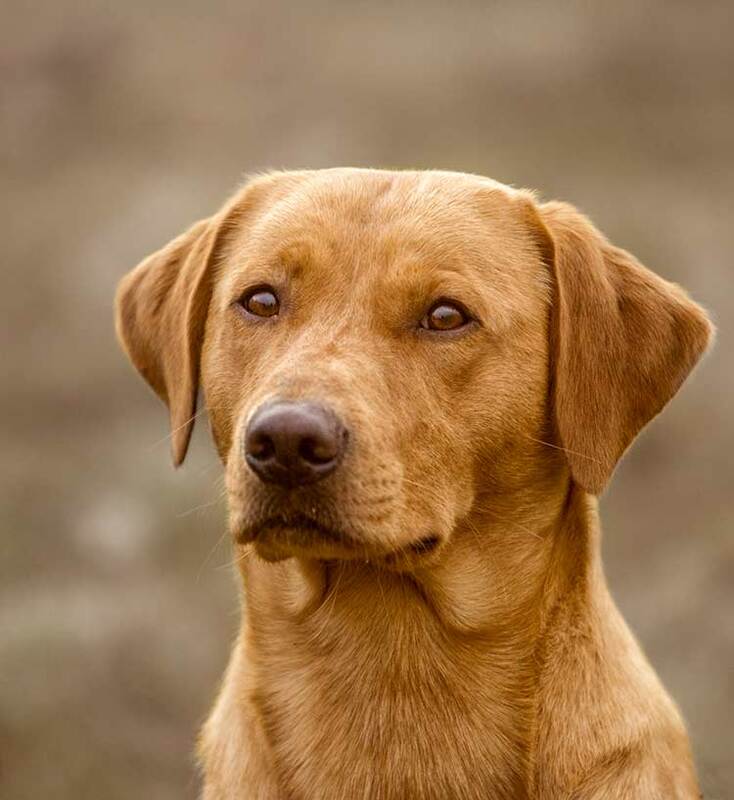 The AKC and the Kennel Club place these dogs within the bracket of ‘yellow’ labradors. But I think many of us agree that their aesthetic is deserving of a category of their own. Here are some ideas for naming orange or red colored dogs. The fire and earth theme is pretty self explanatory with these orange dogs, and works really well! Chances are, you think your dog’s pretty cute. Most people probably agree! You might want to give your adorable pet an adorable name. There are plenty of options for names with a more cutsy feel. So now we’ve covered cute names, what about some cool ones? We’d all like to give our pets cool names. The kind of names that make people say ‘why didn’t I think of that’. A cool name will make showing your dog off to you friends even more fun. You’ll stand out regardless with a unique name. That being said, not all names are equal. Here are some ideas for ‘cool’ unique dog names. We’ve focused quite a bit on color based names here, but you can expand your search to include your own hobbies and interest. Into sailing? How about Spinnaker? Many of our ideas are taken from different aspects of the environment and you can take inspiration from your own surroundings. You can also look at interesting characters from your favorite novels, and at some of our more quirky celebrities, or sporting heros for ideas. You’ll find additions from our readers in the comments. Hopefully they’ll make your dog-naming experience a little easier. Remember, there are thousands of potential names for your dog. They don’t have to be conventional. By choosing something unique, you can express your own imagination through your dog’s name. Keep it original, and most importantly, have fun! I think all these dog names are cute I had a hard choosing one name out of all them!! More unique dog names…our female Alaskan Malamute’s name was Cheekah (short for Checotah, an Alaskan tribe). Our Golden’s name was Bacchus (pronounced bock’-us, the roman god of wine). Our Duck Tolling Retrievers are Nash (male), adopted name was Dash. Didnt want to change it too much. We like Nashville. Nova is our female. Like the definition of a super nova. My heart is broken , where can I get another black lab from 3/ 4 yr old ..